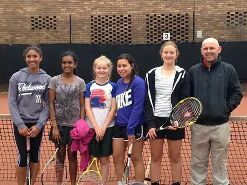 Our club coach, Leigh Holland is a club professional coach having completed the highest level of certification offered by Tennis Australia. Leigh runs his programs from Monday to Saturday as well as a short intensive school holiday program. Leigh also co-ordinates the ANZ Hot Shot League run by the club on Saturday mornings and assists and trains all juniors going through to district competitions. Club Champions from the boys and girls teams. Former Australian junior singles champion. 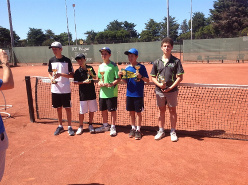 2005 Victorian grass court singles champion. Reached top 400 ATP world singles ranking. Tennis Australia club professional certification. Coaching experience in the United States with I.T.F. juniors. 7 years as head coach in Australia teaching players of all levels. Junior group lessons 4-18 yrs. 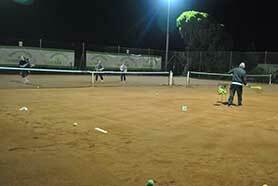 Read more about: Chelsea Heights Tennis Academy. 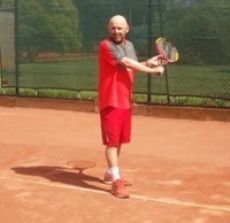 © 2015, Chelsea Heights Tennis Club Inc.
Beazley Reserve, Chelsea Heights VIC 3196. All copyright material used remains copyright of the respective owners and has been used here pursuant to Section 40 of the Copyright Act 1968 (Commonwealth of Australia). No part of this work may be reproduced without consent of the original copyright owners. See code for references.